Private investigators and detective agencies are required to obtain a private investigator bond in over 20 states. States that require these bonds typically include them as a licensing requirement. Their amounts can range between $2,500 and $50,000, depending on the state you are licensed in. This does not mean you need to pay that amount to get licensed! Typically, the cost of your private investigator bond will be a percentage, also known as your premium, of the total amount. Yet, how high or low that percentage is depends on a variety of factors and can be influenced by you. 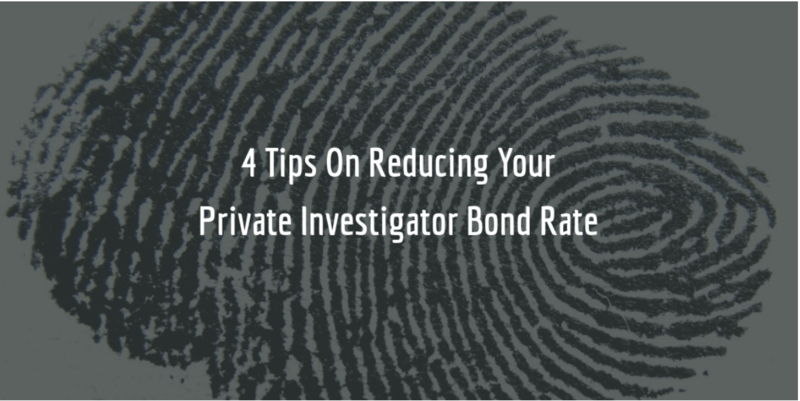 Read on to learn more about private investigator bonds, including 4 tips for lowering your premium. If you have never had to obtain a bond before, you may wonder what it is and why you need it. The private investigator bond, like most surety bonds, is a form of financial guarantee that protects the state agency which issues the investigator license as well as the people who make use of the services of the investigator. As such, surety bonds are different from insurance. For example, if a bonded investigator does not comply with state regulations and laws concerning their business, does not cooperate with criminal justice agencies if required, nor treats their customers fairly and honestly, a claim can be filed against their bond. When a claim is filed and if it is legitimate, the surety will pay a compensation to the claimant for the damages or losses incurred by the investigator. The surety will then require the investigator, as per surety bond agreement, to indemnify it for the compensation it has made. If an investigator conducts business honestly and in full compliance with regulations, there is no reason for claims and only a yearly premium must be paid in order for the investigator to remain bonded. After reviewing all of this, the surety determines a premium for you to pay in order to obtain your bond. Depending on the above factors, your premium may be high or low. Unless you are paying a minimal premium, you can always work on improving it in order to get a better rate when you renew your bond in a year's time. By far the most effective way of lowering your premium is to improve your credit score. Sureties rely on credit score heavily, because it is a fairly accurate indicator of your financial stability and reliability, as well as how likely you are to trigger a claim. A high credit score instantly influences your bond premium in a positive way. To improve your credit score: lower debt by paying it off, pay bills on time, keep low balances on your cards, avoid opening new cards to increase available credit, check your credit report to see there are no incorrectly listed items (dispute them if there are), etc. A good financial record is the second best thing to provide after your credit score. If your financial history tells a story of carefully managed finances, sureties are likely to agree to lower your premium rate. Keep in mind that when determining your rate, sureties are basically assessing the risk involved in providing you with a bond. If your statements tell them you pose little to no risk, they will be more relaxed in the premium they offer you. While surety bond companies have the final say about what kind of rate you get, your choice of surety bond agency also influences your rate. 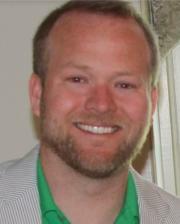 Surety bond agencies underwrite bonds for clients. These bonds are backed by surety bond companies that work with the agencies. But every agency has access only to a number of companies. What to look out for? Make sure your agency partners with companies have an “A” rating according to A.M. Best's rating. The company should also be T-listed with the U.S. Department of Treasury (DoT) - a sign that the company has been vetted by the government and deemed reliable to write bonds for federal government contracts. Much like the financial statements, your work record provides the surety with a glimpse into your professional history and behavior as an investigator or any other job you have performed. If your work history shows that you have rich experience, this will signal to the surety that you are consistent, responsible and reliable. Providing references to former employers can further help you. That said, providing the surety with as much and as detailed information it requires is also important for it to reach a conclusion which can positively influence your rate. More Tips on Lowering Your Rate? Are you a bonded private investigator? Share some of your tips from the licensing and bonding process in the comments below!